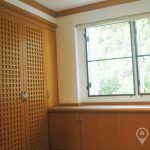 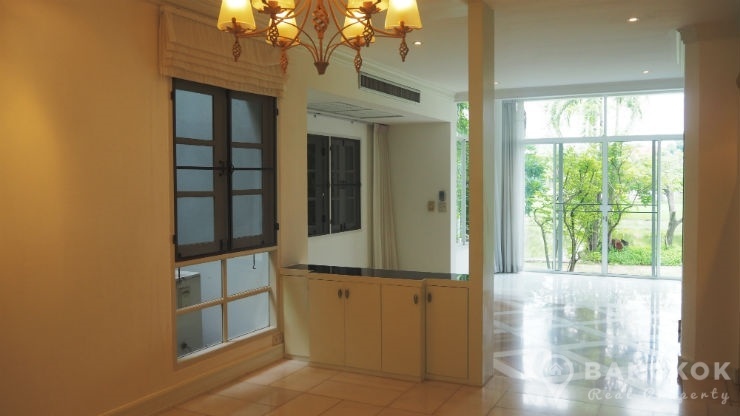 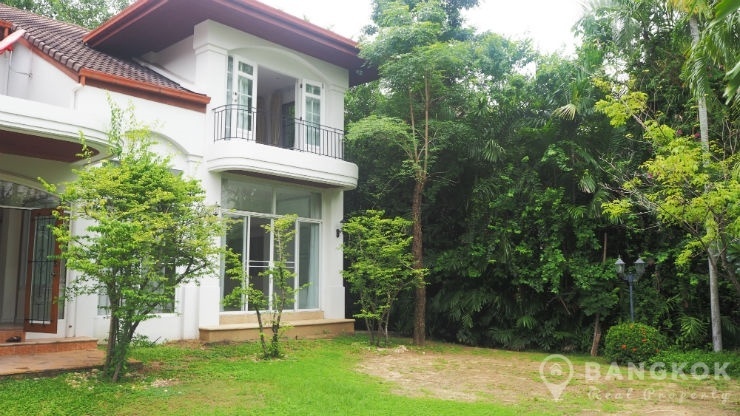 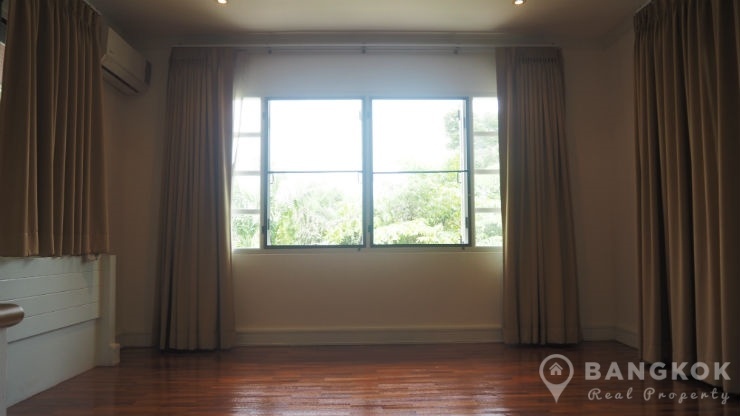 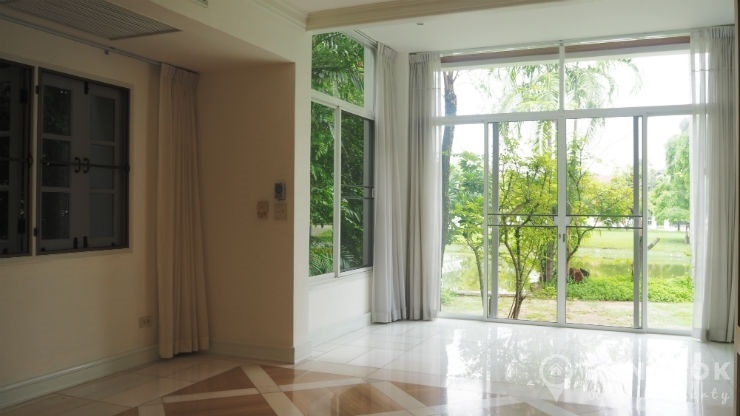 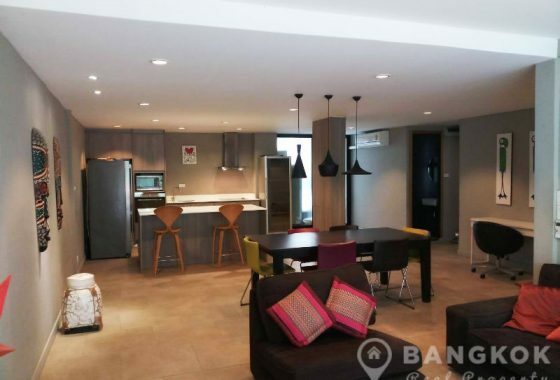 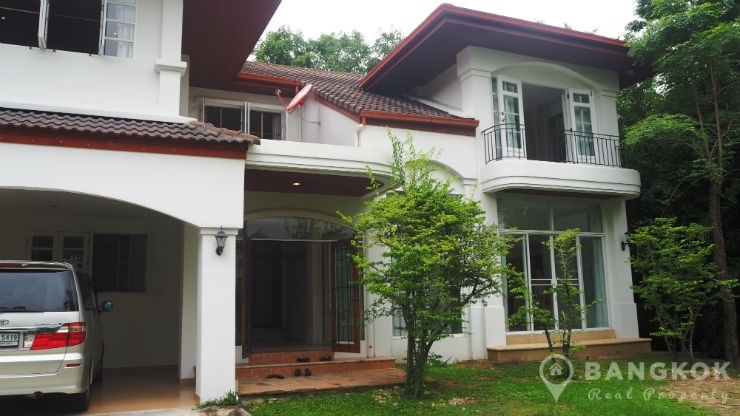 A detached, modern and spacious lakeside 4 bedroom house is now available to rent at Windmill Park Bangna. 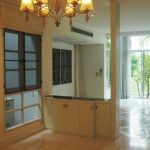 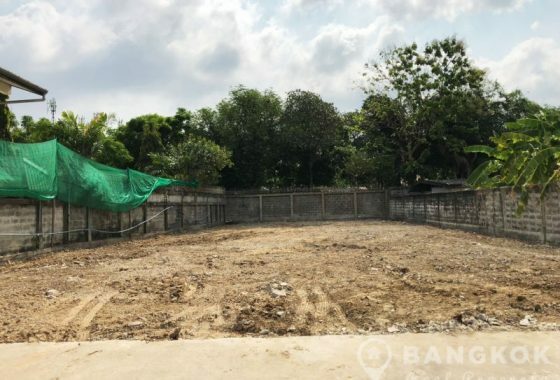 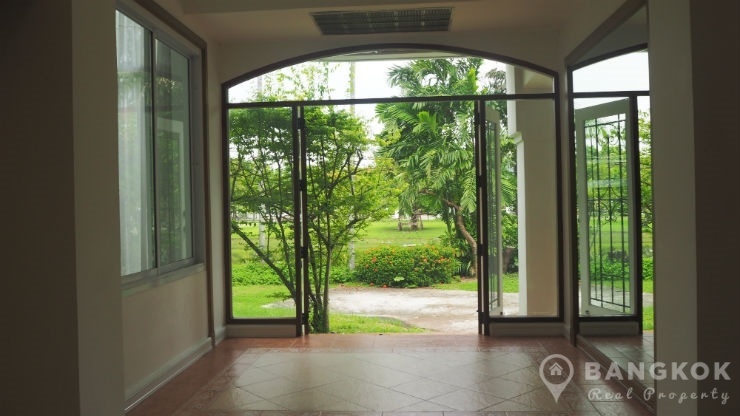 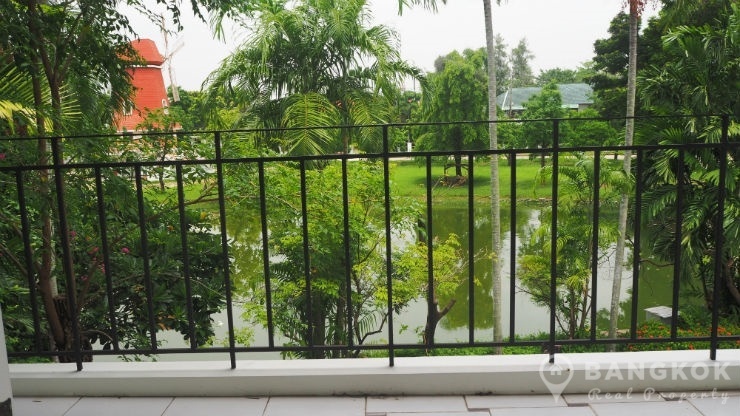 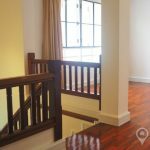 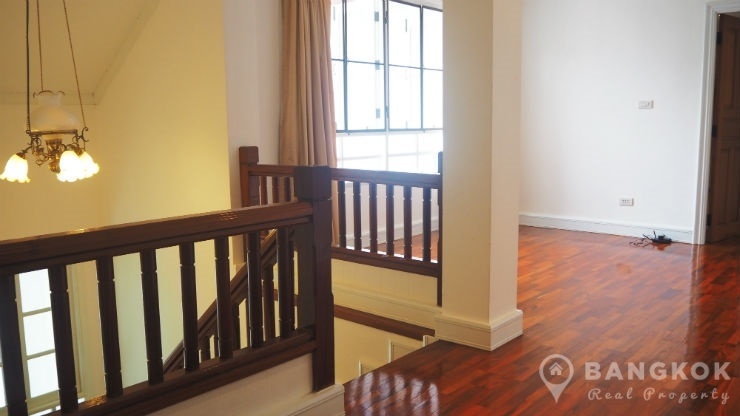 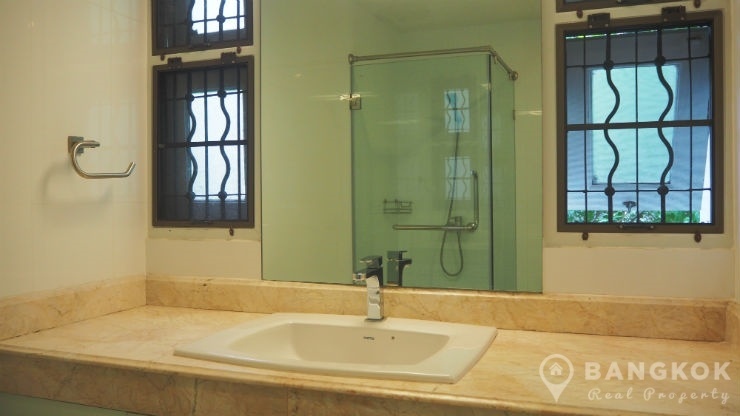 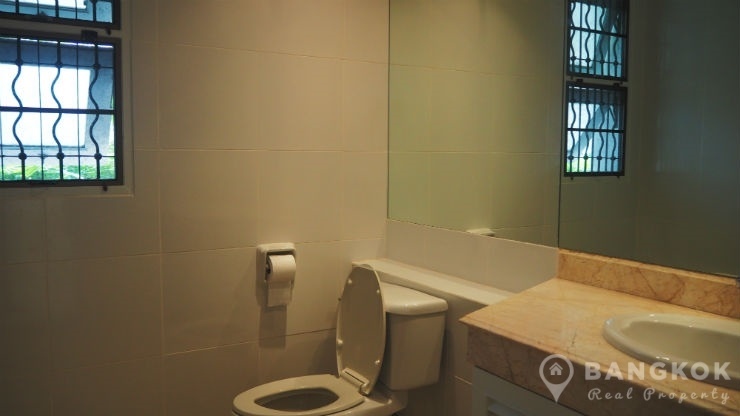 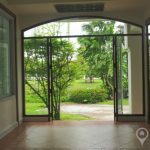 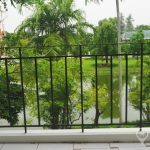 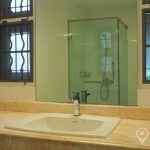 This established gated secure compound development is located just off off Bangna-Trat Road adjacent to Summit Windmill Country Club and near the entrance to Suvarnabhumi International Airport. 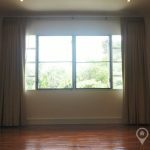 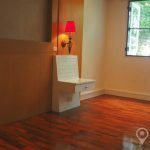 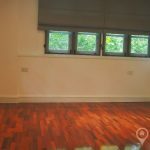 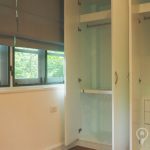 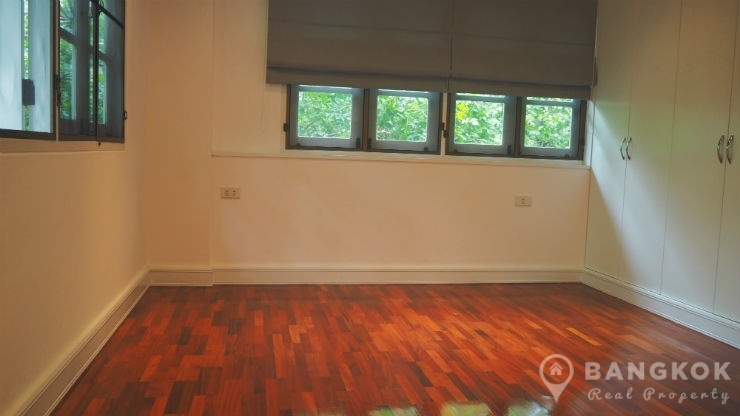 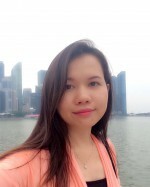 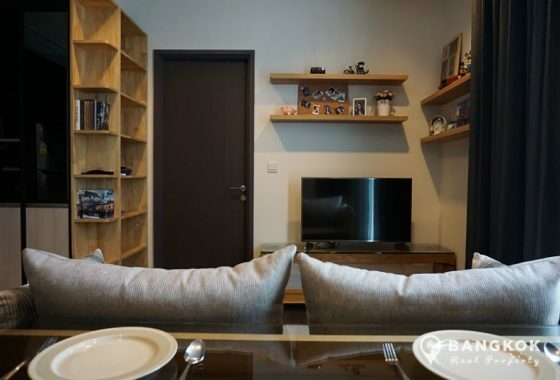 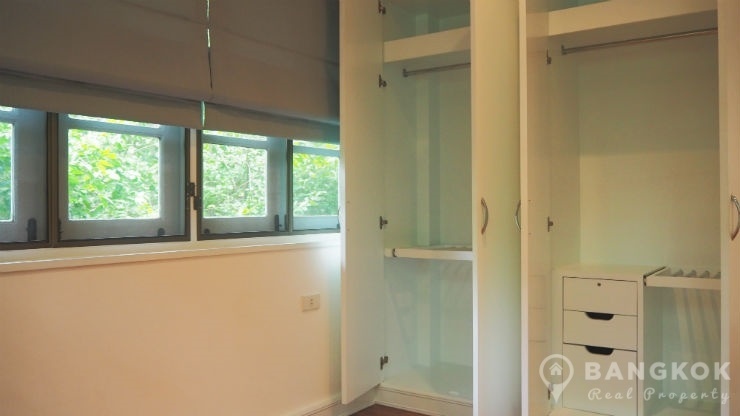 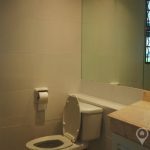 The development offers easy access to IKEA, Mega Banga, Central Bangna, several international schools including The American School of Bangkok – Bangna Campus, Bangkok Patana International School and Concordian International School. 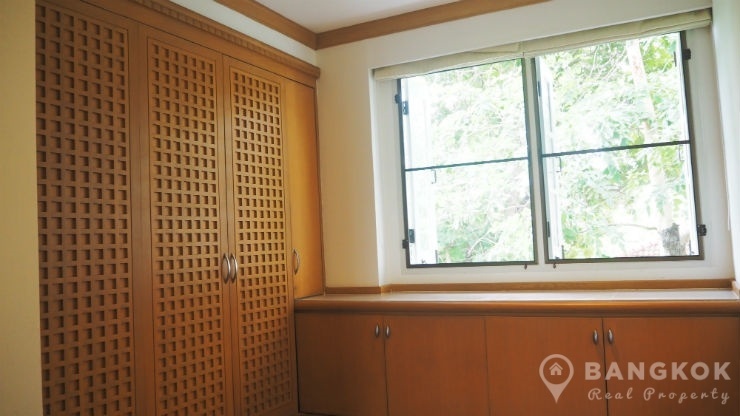 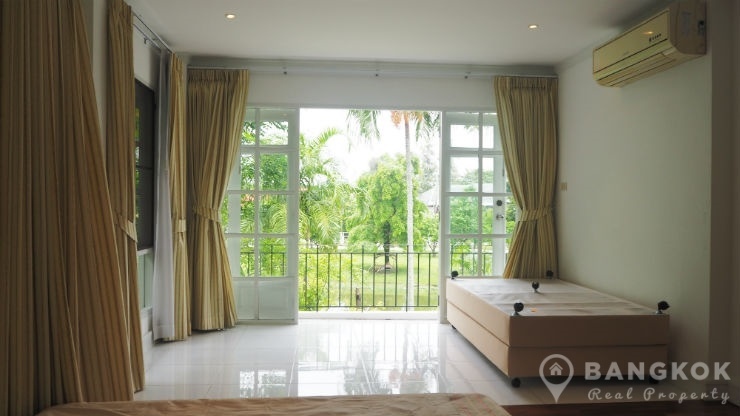 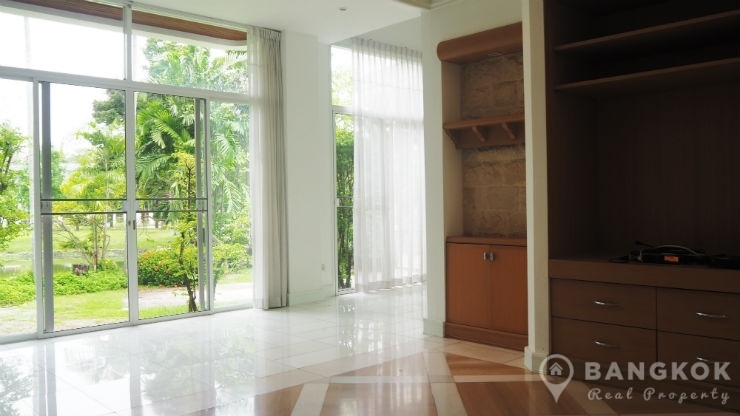 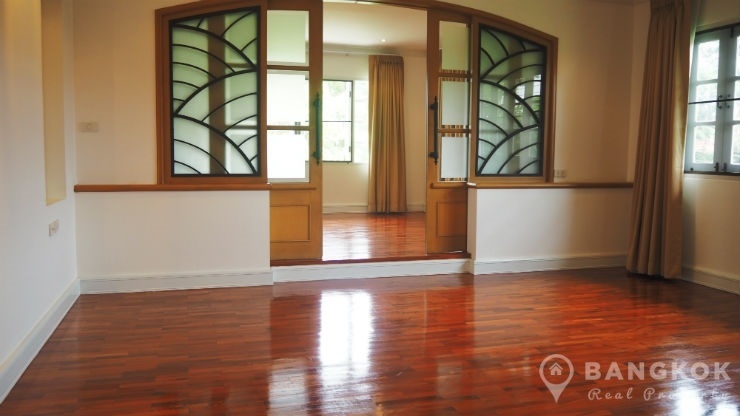 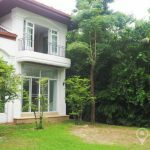 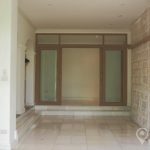 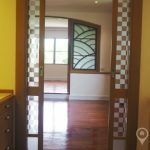 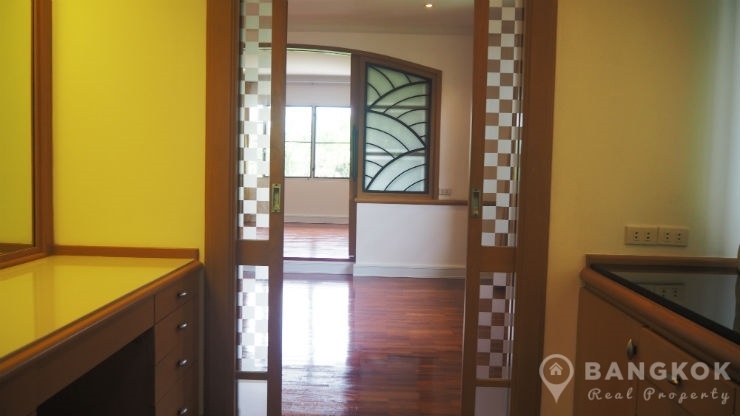 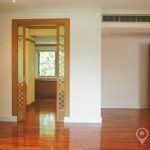 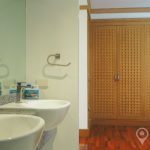 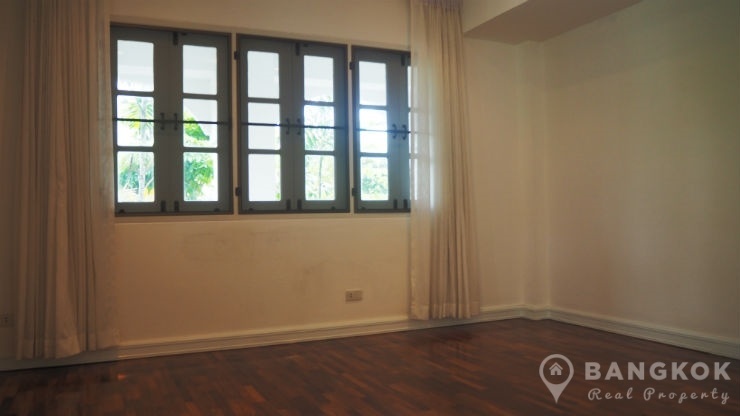 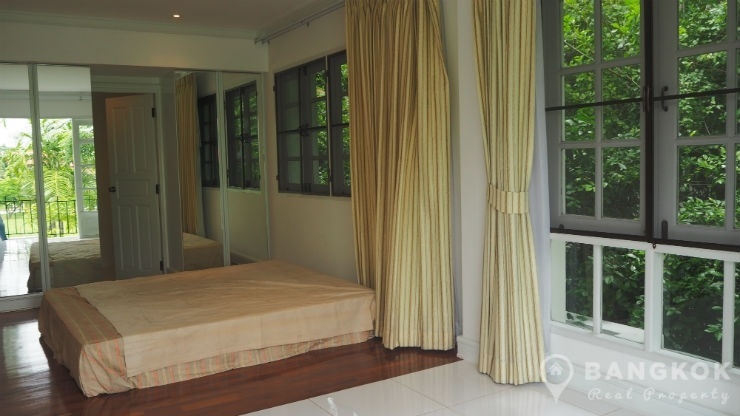 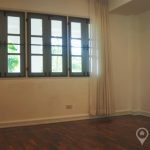 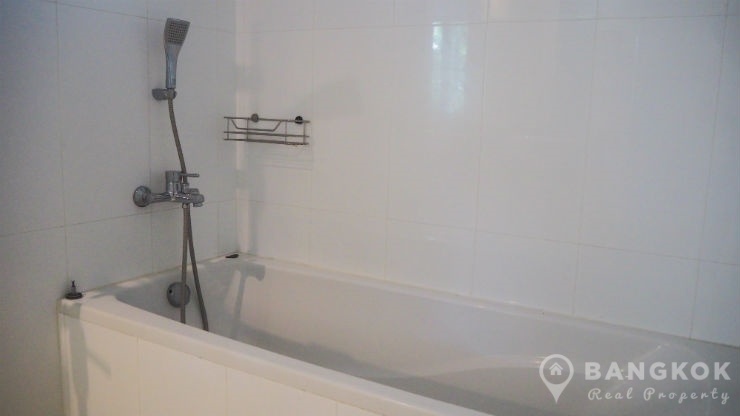 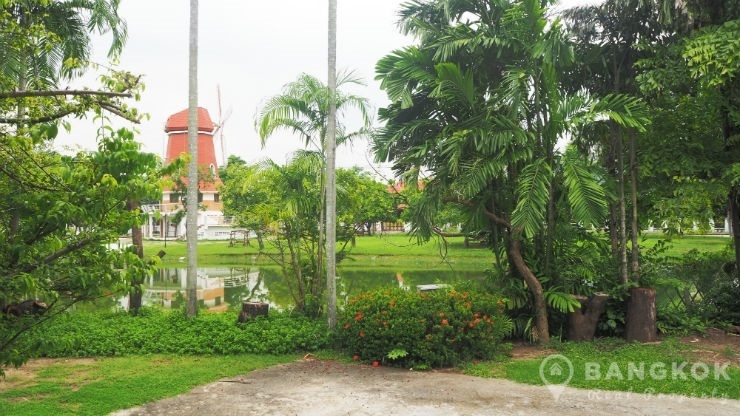 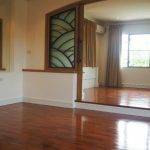 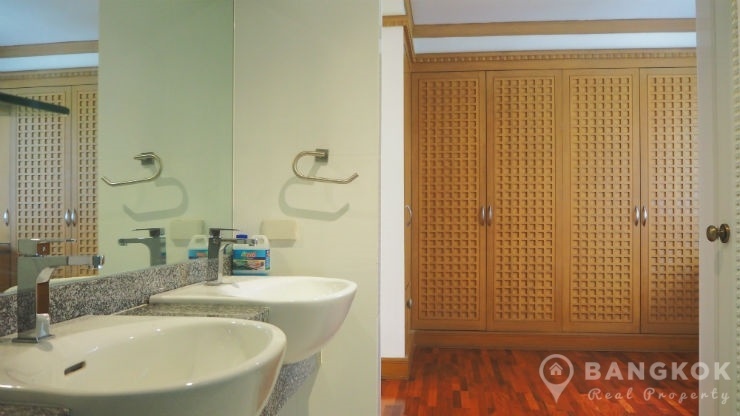 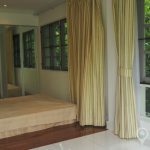 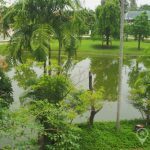 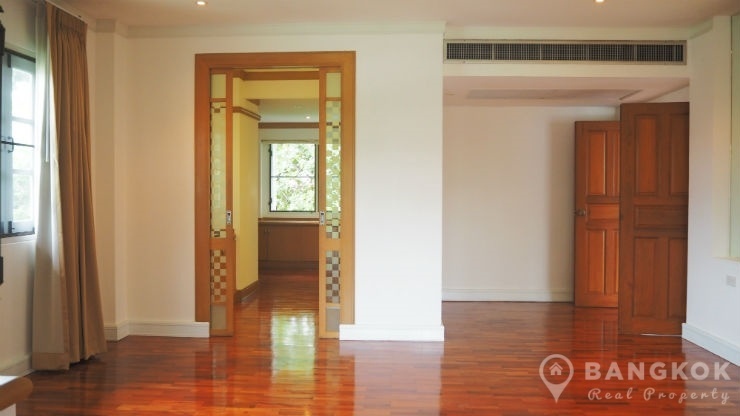 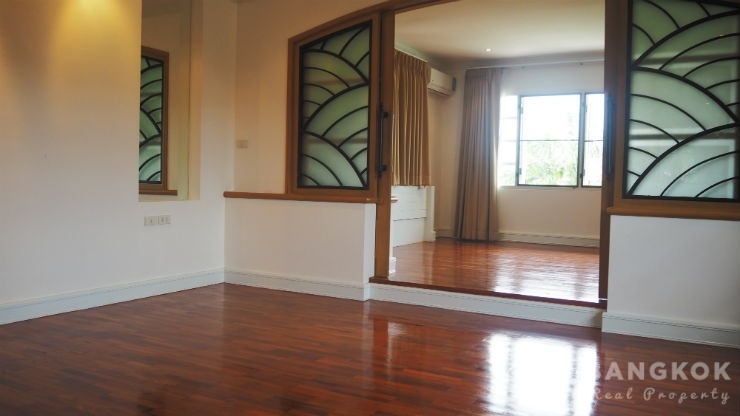 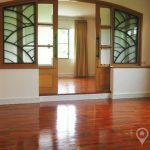 This detached Windmill Park Bangna has 4 double bedrooms, 4 modern bathrooms and has 400 sq.m of living space and a large mature garden with the house overlooking the Windmill lake and has private direct access. 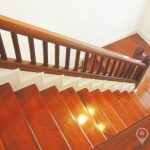 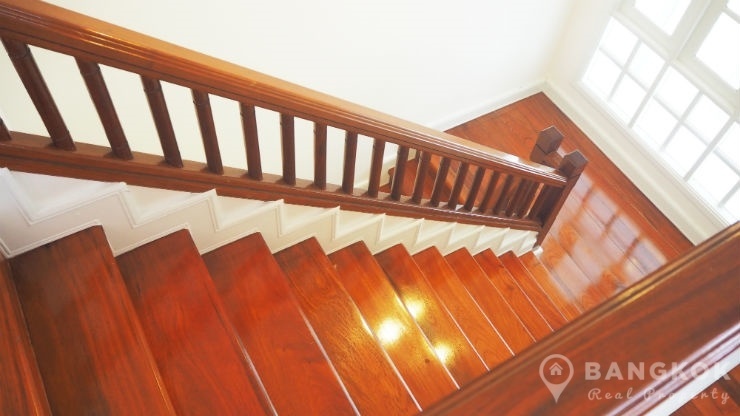 The 1st floor has marble floors throughout while the 2nd floor bedrooms all have hardwood teak floors. 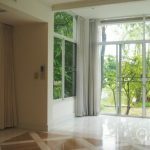 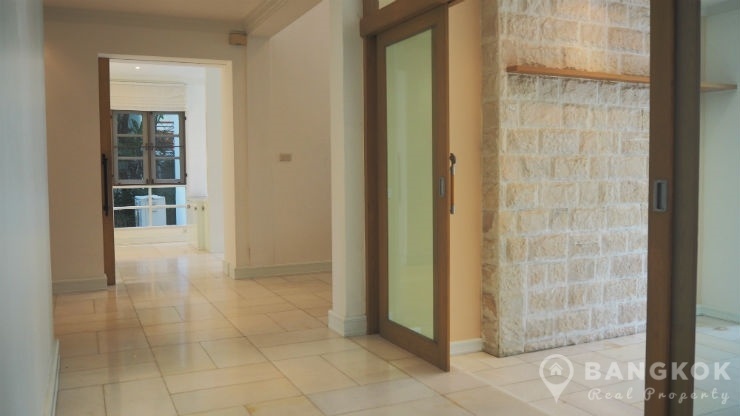 The entrance hall open onto the large, airy livingroom and dining room with floor to ceiling windows overlooking the lake, the livingroom has a pantry bar excellent for entertaining. 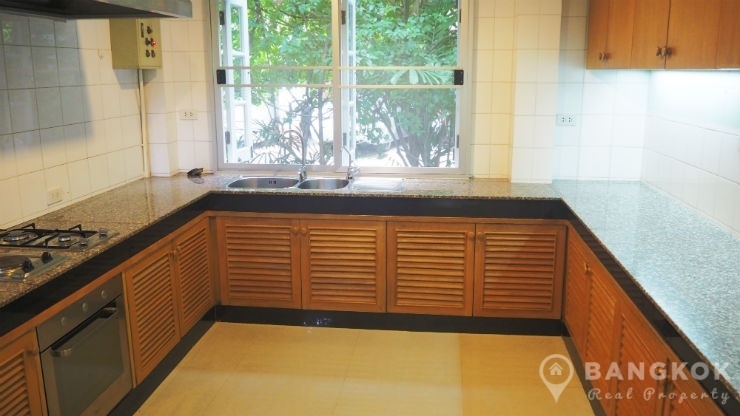 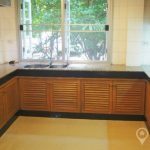 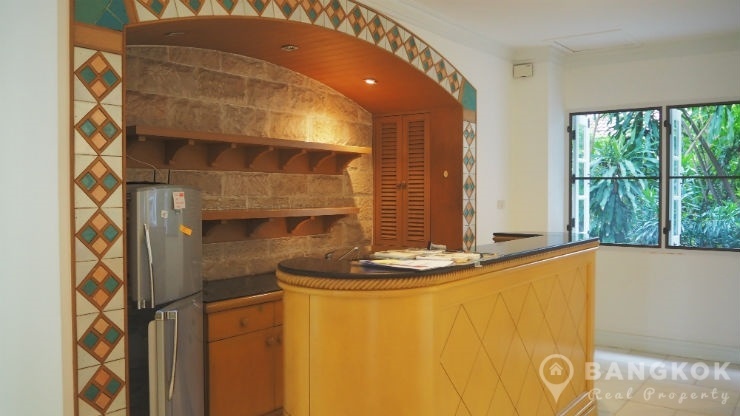 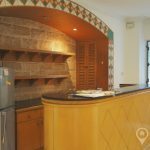 The European style kitchen is separate and has extensive built in units, built in electric and gas hob, electric oven and a large fridge-freezer. 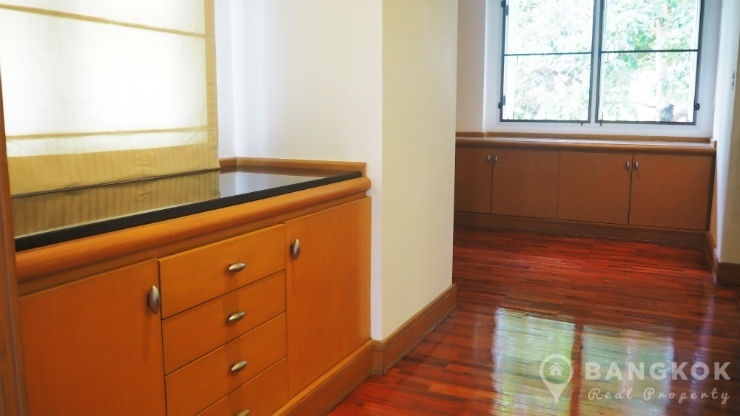 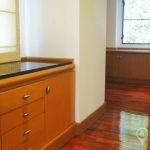 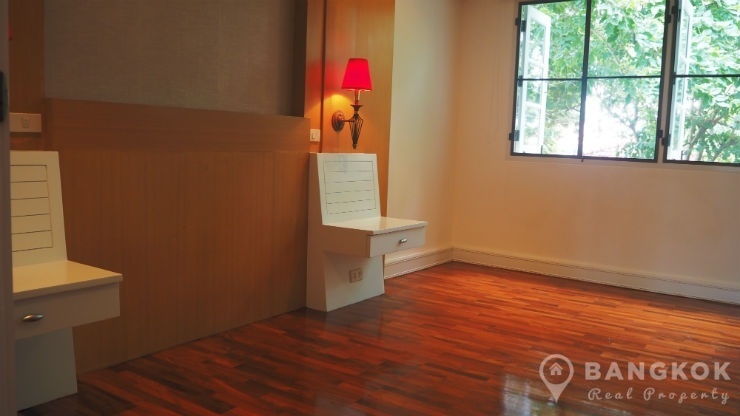 There is a utility room, storage room and 1 maids room. 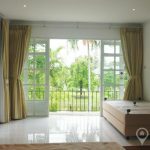 Upstairs the master bedroom suite has its own livingroom area, extensive storage with walkin in wardrobe and dressing area and an ensuite bathroom with bathtub and separate shower, the 2nd bedroom with balcony and lake view also has an ensuite bathroom and there are 2 further bedrooms with a family bathroom. 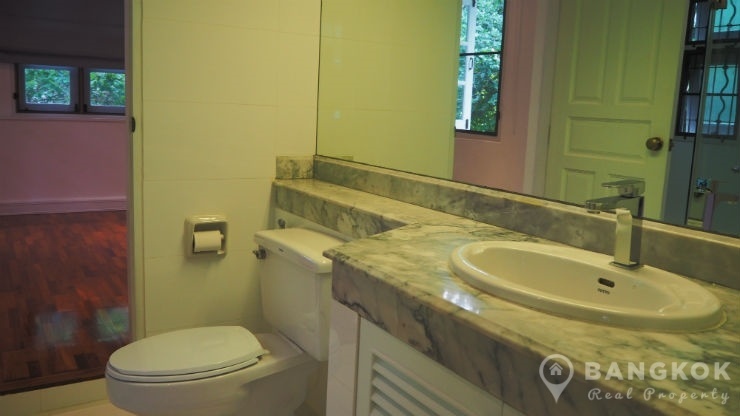 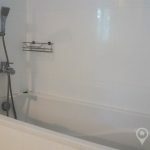 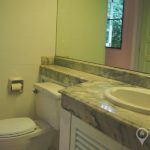 There is a guest bathroom also off the livingroom. 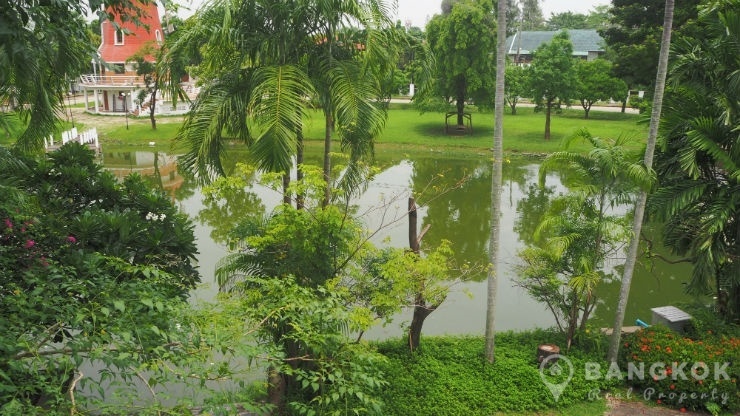 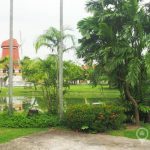 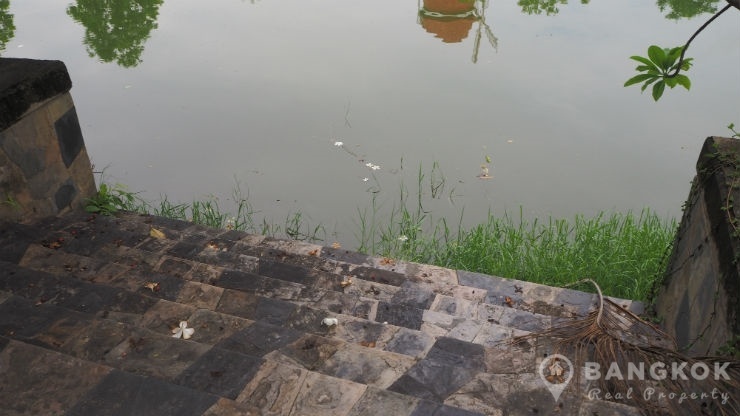 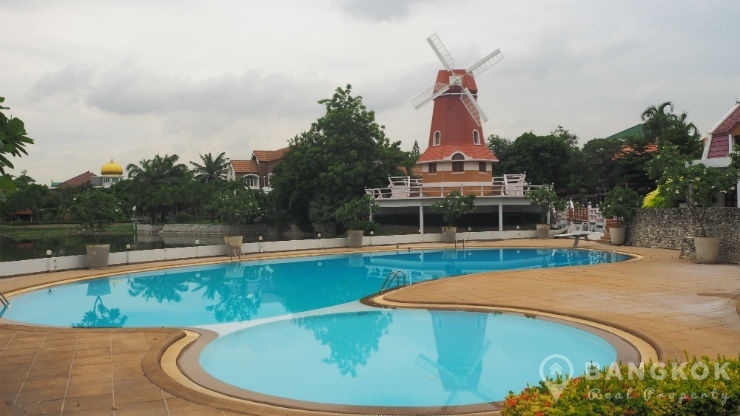 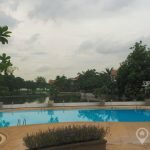 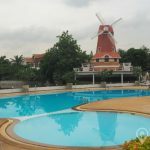 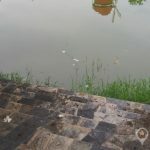 Windmill Park is a secure compound housing village just off Bangna-Trat Road adjacent to Summit Windmill Country Club and near the entrance to Suvarnabhumi Airport , this detached, 4 bed detached lakeside house with club house, swimming pool, children's pool, and other shared amenities.